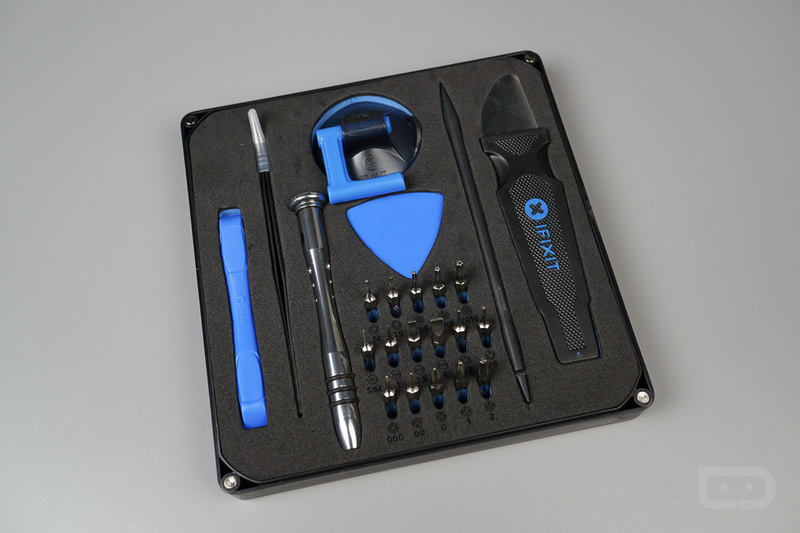 The good folks at iFixit have a new toolkit available this holiday shopping season, priced at an extremely reasonable $20. If the name doesn’t ring a bell, you’ve likely seen iFixit’s work posted all over the web whenever a new device hits the market. If you have ever looked at a teardown we have posted, like for the Pixel, then you know iFixit. Anyway, the group’s new toolkit features all of the essentials you will need to teardown your own smartphone in the case your device needs self repair. If you need to swap a battery or change a display panel, you will now have the tools in order to do so. Of course, this should go without saying, but please be careful if you plan on tinkering with your own hardware. Inside the toolkit you will find a magnetized driver handle, tweezers, Spudger, Jimmy, custom picks for prying open phones, as well as 16 4mm screwdriver bits. As described, these are the essentials for pretty much all devices out there. Here’s how iFixit describes the v2 toolkit. The original Essential Electronics kit was quickly thrown together years ago before we had started developing tools from scratch, and had not been updated in many years. Our V2 was designed from the ground up using our many years of experience writing guides and teardowns. If you fancy yourself as someone who enjoys tearing down all of your little tech gizmos and doodads, follow the link below. For $20, this little package is sweet.